I don't really plan my posts, I normally come up with a new post pretty quickly at the last minute and I had one in mind I was going to do, and I'll still do it, I just haven't had time to get it up and I wasn't fully pleased with the pictures I took because they were super rushed and I wasn't inspired to take the time to put it up. I needed a little something to spark the decorator in me again and I decided I'd sit down and make an inspiration sheet. These always help get my creative side out and they're so fun for me to do. It gives me a break from reality and all the stuff I need to get done... Everyone needs a break and I'm trying to convince myself to get on board with that! 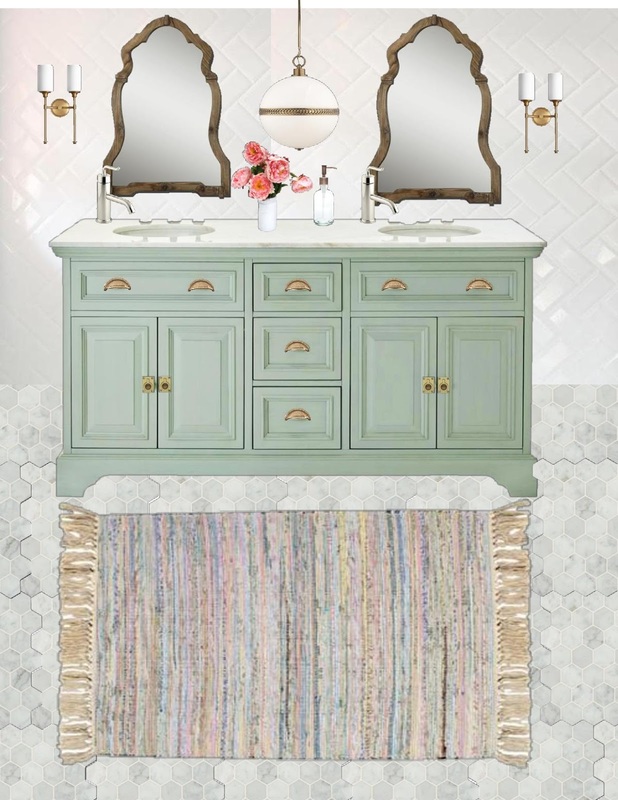 I knew I wanted to do a bathroom because as odd as it sounds, bathrooms are one of my favorite spaces to design. My husband and I have BIG plans for our future and with that in mind, i'm definitely keeping this inspiration sheet around for me to dream about. 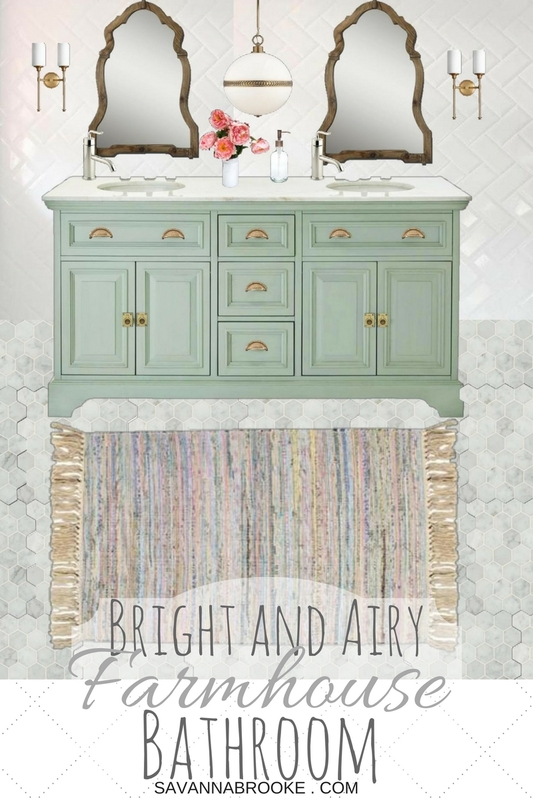 I'm so excited for this inspiration sheet so today I designed a light and airy, eclectic, farmhouse master bathroom for your viewing pleasure. I love every detail and all the different textures from the mixture of metal finishes to the rustic wood frames on the mirrors. I've always dreamed of marble floors and a wall full of subway tile... One day I'll have them both. It's amazing how styles evolve. I don't want to say change because my style has never changed, it's just evolved into something more original and true to me. It's easy to get swept up into what everyone else is doing and not be true to yourself and do what you truly love. I've started adding more color into my decor and i'm loving it. 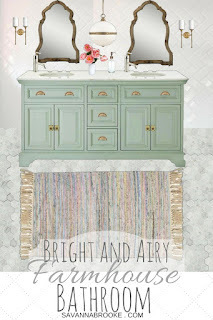 A year ago I wouldn't have dared to put a colorful rug down let alone paint a vanity GREEN! I used to be an all white everything type of girl and I still am in a way but I've learned how to add color the right way... Subtle and cohesive.